Companies are increasingly building their applications as microservices (many separate services that each do a single job). Microservices often allow companies to iterate and deploy more quickly. Many of these microservice-based modern applications are built using various types of cloud resources and deployed on dynamically changing infrastructure. Previously you had to use configuration files to manage the location of your application resource. However, dependencies in a microservices-based application can quickly become too complex to easily manage through configuration files. Additionally, many applications are built using containers that scale dynamically, reacting on the changes in traffic load. That increases your application responsiveness, but poses a new class of problem – now your application components need to discover and connect to the upstream services at runtime. This problem of connectivity in dynamically changing infrastructures and microservices is commonly addressed by service discovery. AWS Cloud Map keeps track of all your application components, their locations, attributes and health status. 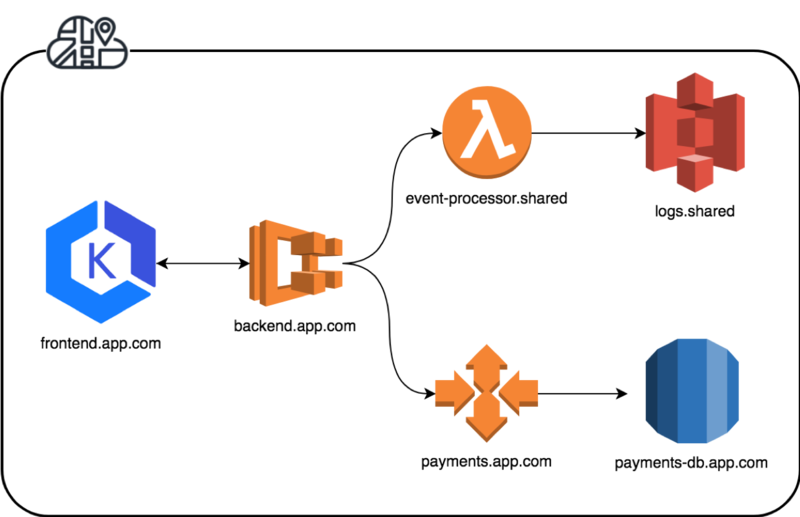 Now your applications can simply query AWS Cloud Map using AWS SDK, API or even DNS to discover the locations of its dependencies. That allows your applications to scale dynamically and connect to upstream services directly, increasing the responsiveness of your applications. When you register your web services and cloud resources in AWS Cloud Map, you can describe them using custom attributes, such as deployment stage and version. Your applications then can make discovery calls specifying the required deployment stage and version. AWS Cloud Map will return the locations of resources that match the supplied parameters. It simplifies your deployments and reduces the operational complexity for your applications. Integrated health checking for IP-based resources, registered with AWS Cloud Map, automatically stops routing traffic to unhealthy endpoints. Additionally, you have APIs to describe the health status of your services, so that you can learn about potential issues with your infrastructure. That increases the resilience of your applications. At this point, you’ll need to decide whether your want your applications to discover resources only via the AWS SDK and API calls, or if you need optional discovery via DNS. When you enable DNS discovery for a namespace, you’ll need to provide IP addresses for all the resources that you register. If you plan to register other cloud resources, such as DynamoDB tables by ARN or the URLs of the APIs deployed on Amazon API Gateway, you need to select API discovery mode. And that’s it! Amazon Elastic Container Service (ECS) and AWS Fargate are tightly integrated with AWS Cloud Map. When you create your service and enable service discovery, all the task instances are automatically registered in AWS Cloud Map on scale up, and deregistered on scale down. ECS also ensures that only healthy task instances are returned on the discovery calls by publishing always up-to-date health information to AWS Cloud Map. For Amazon Elastic Container Service for Kubernetes (EKS), you can automatically publish the external IPs of the services running in EKS in AWS Cloud Map. To do this, we’ve released an update to an open source project, ExternalDNS, to make Kubernetes resources discoverable via AWS Cloud Map. You can find out more details about Kubernetes External DNS here. You can start building your applications with AWS Cloud Map and enjoy the integration with Amazon ECS and EKS, rich and secure API query interface, ubiquitous DNS name resolution and integrated health checking support today. Want to try it out? Head to https://console.aws.amazon.com/cloudmap/home. To test out the integration with ECS, head to https://console.aws.amazon.com/ecs/home and enable Service Discovery to get started.